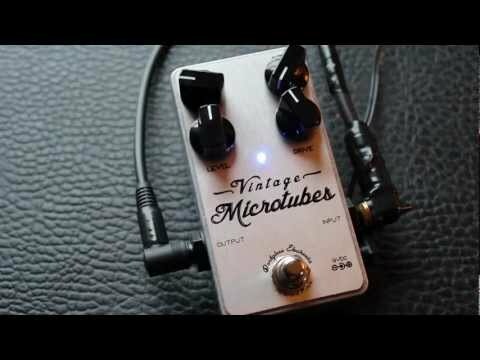 The Darkglass Electronics Vintage Microtubes bass overdrive pedal. FREE shipping in the USA! The Vintage Microtubes has a current draw of 20mA. Only use a regulated 9V DC adapter with a center-negative plug. Due to ecological reasons it does not accept batteries. Unregulated power supplies and/or higher voltages may result in suboptimal noise performance and even damage your unit, voiding the warranty.